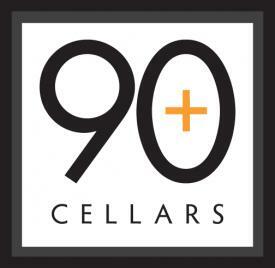 90+ Cellars was created because we like drinking great wine anytime we want. We wanted an everyday "go to" wine that tasted like one usually reserved for special occasions, a delicious wine that we could open any night of the week or whenever friends arrived. Unfortunately, that wine didn't exist or just took too much time to find. So, in the spring of 2009, armed with a copy of the latest Wine Spectator, Kevin called and emailed wineries with a history of high ratings and asked if they had wine for sale. Some told him to get lost, others simply ignored him, but in the end, he found a handful of willing wineries. The plan was this: They put the 90+ Cellars label on their wine, and we sell it for less. You may recall that the economy wasn't in the best shape in 2009. Demand for wines priced more than $20 a bottle plummeted and inventories were piling up. Rather than discount their wine and erode the value of their brand, wineries were willing to part with it for a reduced price. That summer 90+ Cellars was born. Since then, it's been our goal to seek out, bottle and deliver fine wine that costs you less money. The landscape has changed, but our mission has not. We partner with highly respected wineries around the globe to provide you with wine that will impress your friends and keep more dollars in your pocket. Saturday night taste. Tuesday night price. "Made from fruit harvested primarily from the Awatere Valley region of Marlborough. The cool dry and coastal climate of this valley gives the wine its special mineral and herbal character. The wine is crushed, de-stemmed and given a cold soak prior tofermentaion in 100% stainless steel.